The related articles below every post are chosen from other posts in the same category,label, or tag. With this method of adding related post or related article below, your blog post will tend to make readers remain on your site for a longer period of time when they see related posts of their interest. Your blog will have more relevance in connection with other sites that has related content as yours. This will surely boost the reading life of those who will be able to reach your blog in whatever means necessary. Blogger related posts widget is undeniably proven useful by most of bloggers out there including me, due to the fact that it helps in keeping your blog's visitors stay for a longer time than usual, which in-turn decreases the blog's bounce rate and consequently boost your page views day by day. 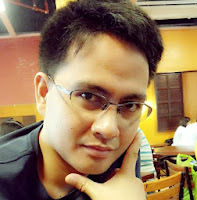 You have to consider prioritizing this in order for you to avail a lot of benefits from blogging. This widget is so important for we bloggers, and it's not that difficult to add to our blogs. In this article, I will teach you how to blend related post widget code with your blog template for fast loading. 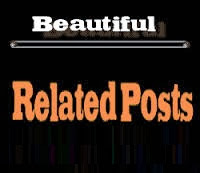 If you want to add random post widget under every post, visit here. Some of site offers linkwithin, outbrain and nRelate -- all good widgets available for just about any platform. Other than that, for blogger, there's hardly any script available that will properly show related posts at the end of your post (or in any other place that you like), But this third-party related post scripts will be burden to your blog page loading because they are using redirection methods wherein before they reach your related post actual post after clicking the link the users will be redirected first to related post widgets serves by third party websites that will take longer loading of your blogs. NOTE: If you find two instance of this try to place it in the 2nd..then preview. if it is below post then its done. Change the max result to what ever you want maxresults=3; If you encounter problem installing it just post in comment section about your problem. Thanks for the helpful information! I need all of the help I can Get!